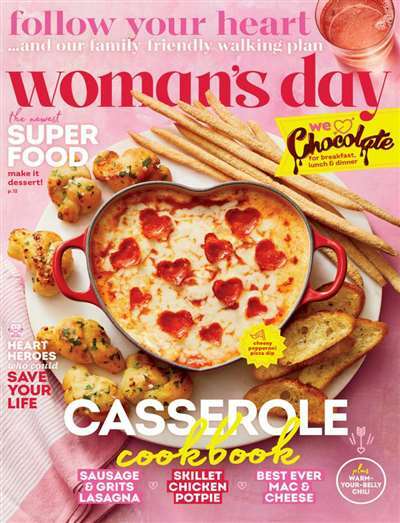 Woman's Day magazine wants every woman to live well every day. As one of the largest women's food and lifestyle circulations for over 70 years, reaching more than six million homes every month, this magazine is a must-read for women of all ages. Every issue includes articles on style, health, eating well, and solutions to every-day problems. Woman's Day covers every topic that is important to women today. This lifestyle magazine is great for meal ideas, and even offers a month's menu in every issue so you never have to think about what you're going to eat next; the recipes are easy, quick, and delicious. Woman's Day also has articles on life's invaluables, such as relationships, family, and self-worth. 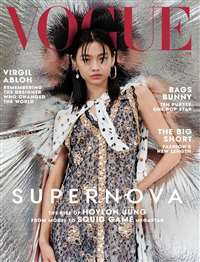 Subscribe to Woman's Day Magazine at MagsConnect.com. Got to have this magazine! The first time I picked up a copy of this and read through it, I was instantly hooked. Woman's Day has great articles that involve issues concerning women and family matters. In areas like managing finances, how to organize everything, menus to lose weight, health alerts and lots more. There is a touching story in every issue that makes this a truly special magazine. Some times they will add a little bonus. For example: coupons, name tags during the holidays, calendars, little recipe books during the holidays also and a cologne sample. I look forward to getting my Woman's Day Magazine in my mailbox! It is packed full of good things that make me happy. Easy tips for decorating the house, fashion tips, parenting articles, fast and simple crafts and gifts to make, first person stories, and recipes and coupons. I like the idea that by subscribing I never miss an issue, and I save a lot of money. Woman's Day and Family Circle go hand in hand, and to relax I sit down with both magazines and enjoy reading them from beginning to end.